The Academy announced December dates for its percussion auditions. 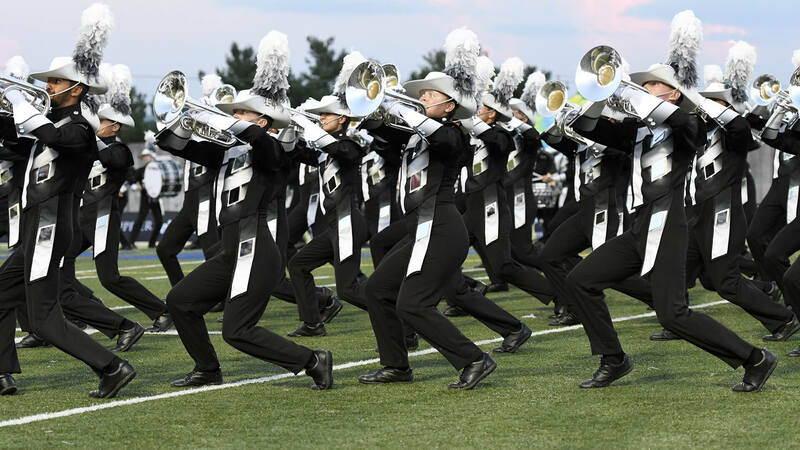 Blue Devils take a look back at 25 years of “Inside the Blue Devils” and “Inside BD360,” one of drum corps’ longest running and most viewed documentary series. You may know the remarkable story of the F-16 pilot who had orders on September 11, 2001 to bring down United Flight 93 with her own jet. But did you know she’s a Blue Knights alum? Blue Stars will hold its 2017 auditions in six different states. Bluecoats will hold auditions for 2017 in Texas, Ohio, California, Georgia, and the United Kingdom. After putting together a large number of new staff hires, Boston Crusaders announced how to audition for the 2017 corps in person or via video. The Cadets are now accepting membership applications for the 2017 season. Membership info for 2017 prospective members is now available for Carolina Crown. Cavaliers will hold educational “Chop Sessions” for Chicagoland brass, woodwind, and percussion students. Colts announced the members of the corps’ 2017 music team, which includes four new arrangers and designers. The Crossmen organization has been honored by GreatNonprofits.org with a top-rated award for 2016. Guardians’ newly-posted video “Life of a Guardian” shows what it’s like to a member of the Houston-based drum corps. Here’s how to register for Kalamazoo, Michigan-area auditions for Legends. Madison Scouts named a new visual designer and a new music coordinator for its 2017 season. Mandarins named a new program coordinator and percussion consultant. For those who want to know what it’s like to march as a member of Pacific Crest, here is a short video summary of the past season. Two experienced choreographers have joined the Phantom Regiment movement design team. The Racine Scouts recently launched a new website. Santa Clara Vanguard has a block of hotel rooms reserved for fans who wish to cheer them on in the Pasadena Tournament of Roses Parade. Southwind announced membership info and audition dates for the 2017 season. Spartans posted membership info for 2017 prospective members. Have you ever wanted to learn about running a drum corps from the inside? Troopers is looking for volunteer administrative interns for the corps’ 2017 summer tour.